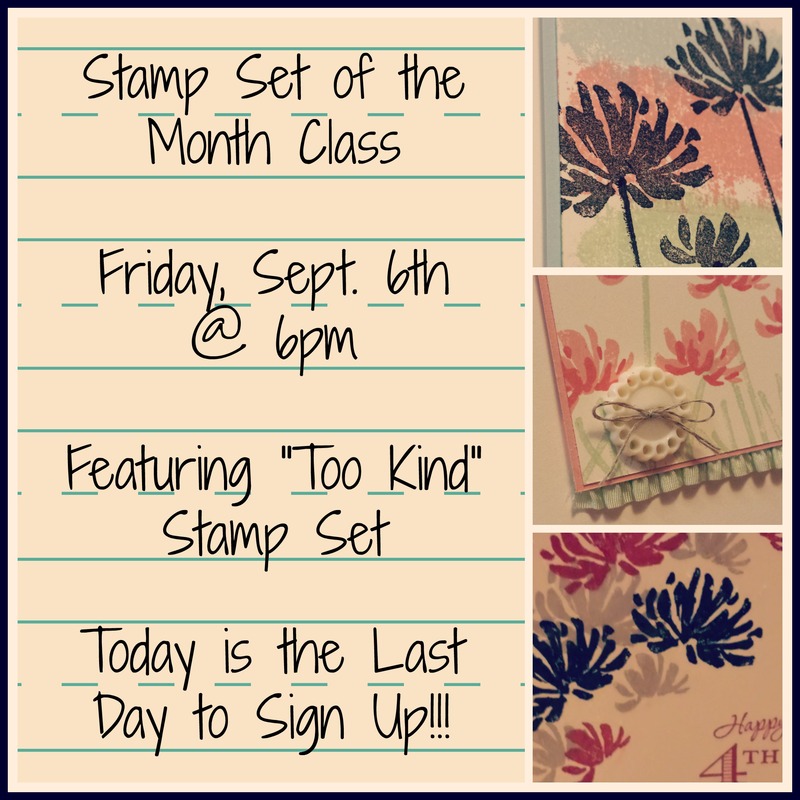 September’s Stamp Set of the Month Class is just around the corner! Head on over and sign up Today, so you don’t miss out on all the fun! Cost includes the Clear or Wood Mount Stamp set, plus all supplies needed to create 3 different cards.